A generous portion of shredded chicken cooked in chicken broth with potatoes, carrots, and beans. 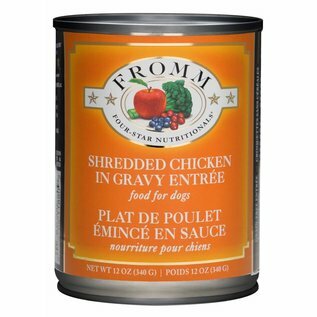 Ingredients: Chicken Broth, Chicken, Potatoes, Carrots, Green Beans, Peas, Pinto Beans, Kidney Beans, White Beans, Salmon Oil, Tomato Paste, Dicalcium Phosphate, Salt, Potassium Chloride, Minerals, Xanthan Gum, Vitamins. 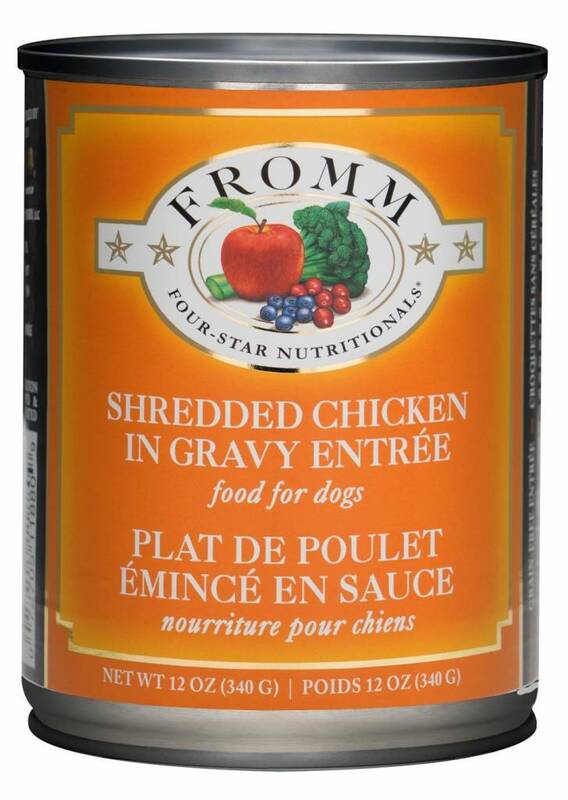 Fromm Four-Star Nutritionals Shredded Chicken in Gravy Entrée Food for Dogs is formulated to meet the nutritional levels established by the AAFCO Dog Food Nutrient Profiles for All Life Stages, including growth of large size dogs (70 lbs. or more as an adult).